The most powerful starships ever built, the Battleships decided the fate of empires. Fly battleships of the Federation, Klingons, Romulans, Kzintis, Gorns, NeoTholians, and Seltorians. 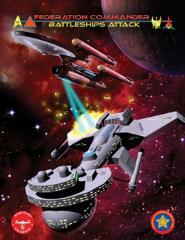 • 16-page rulebook includuing 9 scenarios.